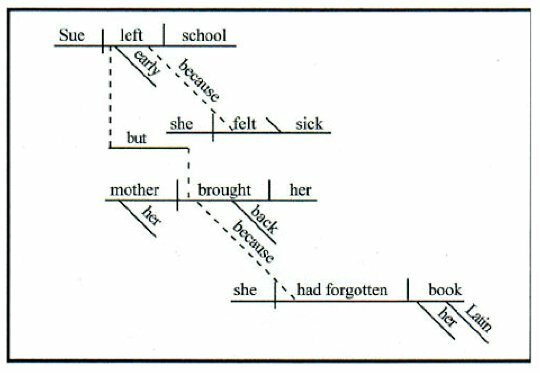 Back in ye olden days (okay, about thirty years ago) elementary school students were taught how to diagram sentences. The theory was that it would be easier to learn the parts of a sentence by seeing the underlying structure. However, as educators moved in the direction of free expression and away from basic mechanics, the diagramming system developed by Reed and Kellogg fell out of fashion. But, like fresh apple pie made from scratch, sometimes sticking to the basics is best. Diagramming a sentence creates a clear visual that helps you analyze what you’re writing. So if you want to brush up on your fundamental sentence skills -- or you’re just a grammar nerd -- here’s a brief primer on how to diagram sentences. How to Diagram A Sentence Start with the key elements: subject and verb. Simply put, the subject tells you what the sentence is about; the verb tells you what the subject is doing. If you’re feeling rusty about identifying the different parts of a sentence, you may want to do a quick review before you attempt to diagram. Next, things start to get interesting -- at least in our sentence diagram. This prepositional phrase would be placed on a line beneath the verb. If you really want to live on the edge, you can diagram an imperative sentence with an understood subject, such as: Go away. 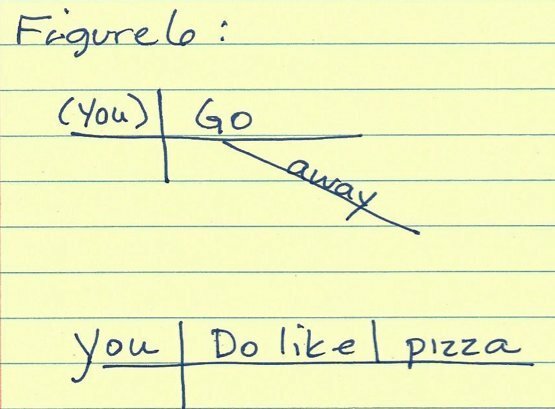 Or you can diagram a question: Do you like pizza? Hold on to your hats, because as sentences become more complex, so do the diagrams. Some diagrams can flow across an entire page! Feeling adventurous? 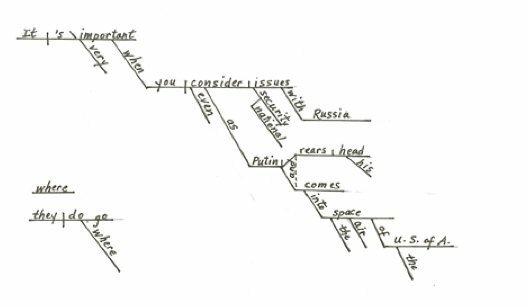 Take a look at Kitty Burns Florey’s diagram of a sentence from a speech by Sarah Palin. Always write the main sentence line first and then fill in the modifiers. Don’t use punctuation, but do use capitalization and apostrophes. Multiple-word proper nouns (names and titles) and hyphenated words are kept together as a single word. When two different adjectives or adverbs modify the same word on the main sentence line, put them in the same left-to-right order as in the original sentence. You may not feel quite as thrilled as Ms. Stein about the prospect of diagramming sentences, and we’ll let you draw your own conclusions as to how effective the technique is for improving your grammar skills. But if you’re interested in reading an in-depth study of sentence diagramming and learning more about its offbeat history, you should definitely check out Sister Bernadette’s Barking Dog by Kitty Burns Florey. CORRECTION: An earlier version of this article described the word 'to' as a linking verb rather than a preposition, and referred to an imperative sentence as declarative.